As you all know,yesterday was our college's Dinner night. the previous 2 years dinner still the best one,not the last night one. obviously,the Chinese are conquering the reception. even the malay song was sang bt the Chinese! tp knape u chose the Chinese yg pakaiannye menjolok mata? about the menu plak,theres so many protein instead of carbs! can u imagine,theres chicken grill,chicken chop,satay chicken,ikan. dh nk basi i tot.so,coleslow ade lah 1 sudu. so,in my conclusion n what can i see. CHINESE really wanna conquer us.sangat. obviously okay.mlm tdi,everything is proven! i may sounds a bit racist tp its true. byk sgt beza dengan if pengarah dinner tuh malay. 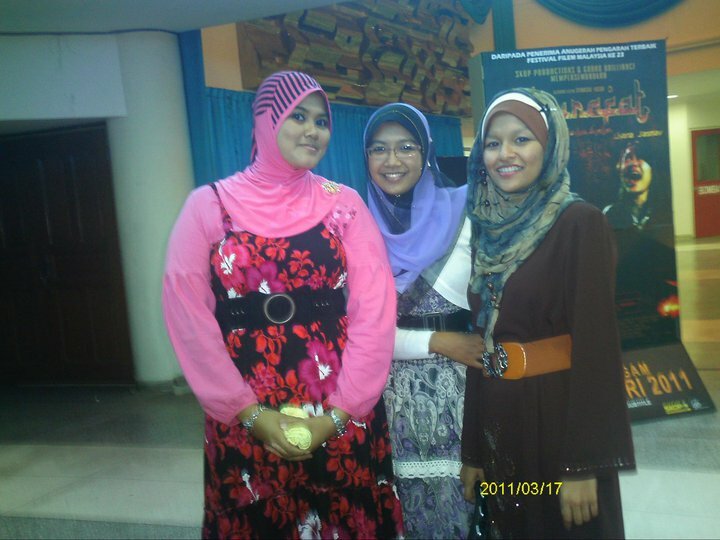 3 years la.i can see the difference okay.baju AJK pon dh merah. gong xi fa chai dah?AJK pon ramai kaum diorg. sbb once dh kje,maybe tak dpt nk g dinner free dh kot. actuallt we pay 10 bucks fer it.huhu. oh ya,kat ats tuh ade lah sekeping gambar dinner. yg lain2,tgk kat fb lah ekh.